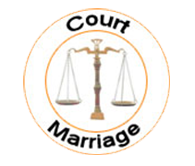 In any proceeding for divorce or judicial separation or restitution of conjugal rights, the respondent may not only oppose the relief sought on the ground of petitioner's adultery, cruelty or desertion, but also make counter-claim for any relief under this Act on that ground, and if the petitioner's adultery, cruelty or desertion is proved, the Court may give to the respondent any relief under this Act to which he or she would have been entitled if he or she had presented a petition seeking such relief on that ground. Where in any proceeding under Chapter V or Chapter VI it appears to the District Court that the wife has no independent income sufficient for her support and the necessary expenses of the proceeding, it may, on the application of the wife, order the husband to pay to her the expenses of the proceeding, and weekly or monthly during the proceeding such sum as having regard to the husband's income, it may seem to the Court to be reasonable. (1) Any Court exercising jurisdiction under Chapter V or Chapter VI may, at the time of passing any decree or at any time subsequent to the decree, on application made to it for the purpose, order that the husband shall secure to the wife for her maintenance and support, if necessary, by a charge on the husband's property, such gross sum or such monthly or periodical payment of money for a term not exceeding her life, as having regard to her own property, if any, her husband's property and ability, the conduct of the parties and other circumstances of the case it may seem to the Court to be just.